Large room with window to an inner courtyard. 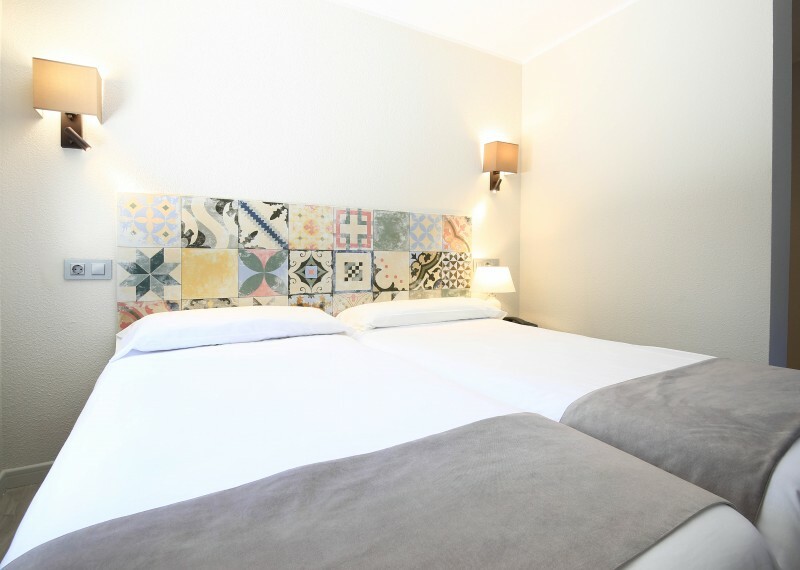 Hotel Tudel offers free WIFI in all rooms and hotel premises. Enjoy your break while you are still connected to your loved ones. We have an exclusive parking space for our customers, with limit parking. You have to book in advance. 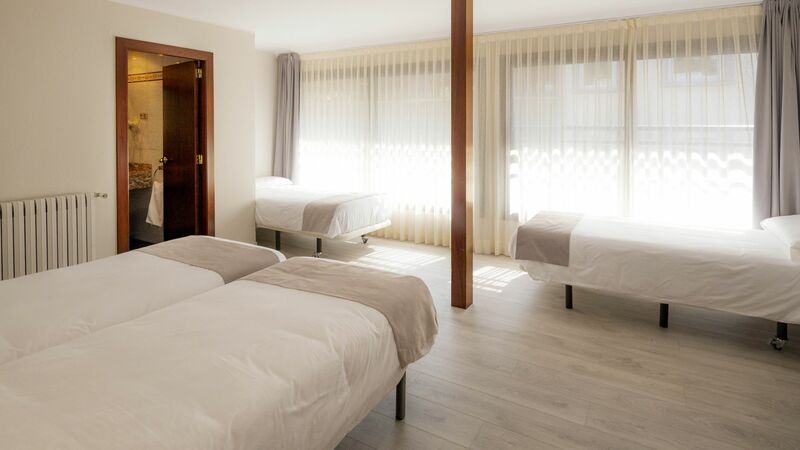 The excellent location of our hotel is perfect to enjoy Caldea, located only 400 metres away. 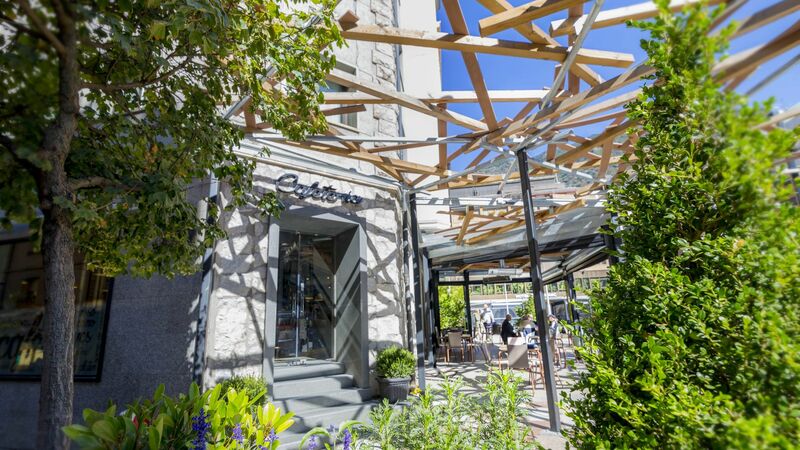 In order to go shopping around the shopping area of ​​Andorra La Vella and Escaldes-Engordany, the Tudel Hotel guests will find great comfort for its immediate access. 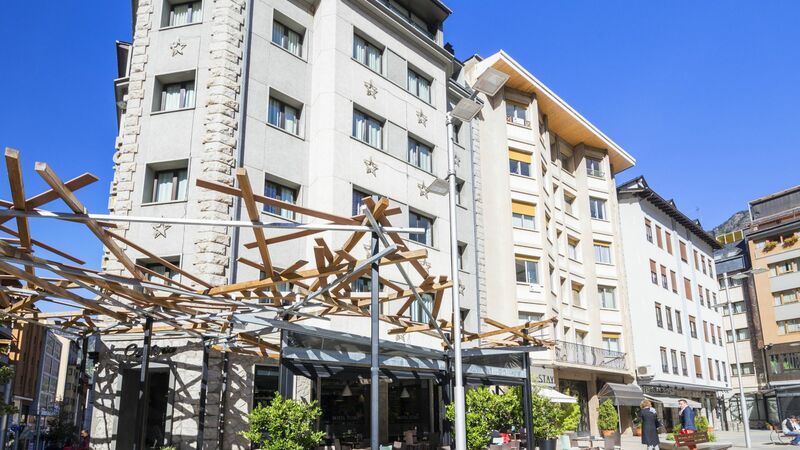 And with all the facilities to make your stay perfect: continental breakfast, air conditioning, free Wi-Fi in public areas, international and local press, laundry/dry cleaning, concierge and indoor car park. The hotel has also ironing service, and we accept pets upon request. 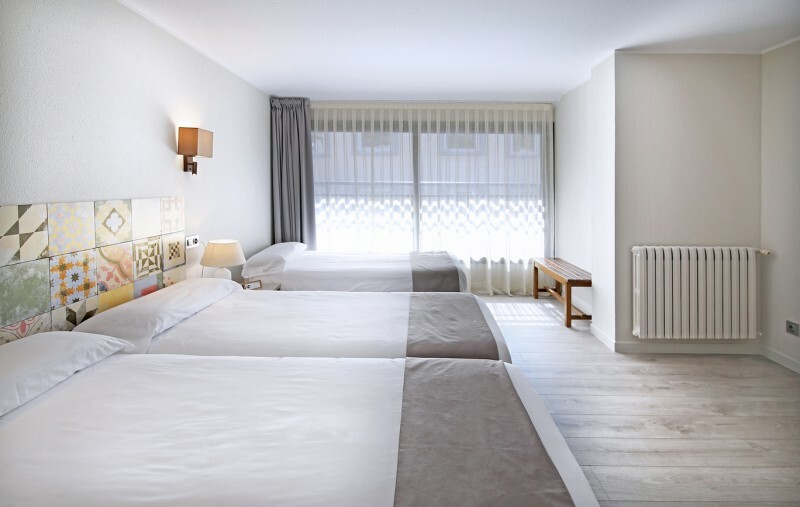 From the Tudel Hotel you will also be able to enjoy the best snow in Andorra, as both the slopes of Grandvalira and of Vallnord. 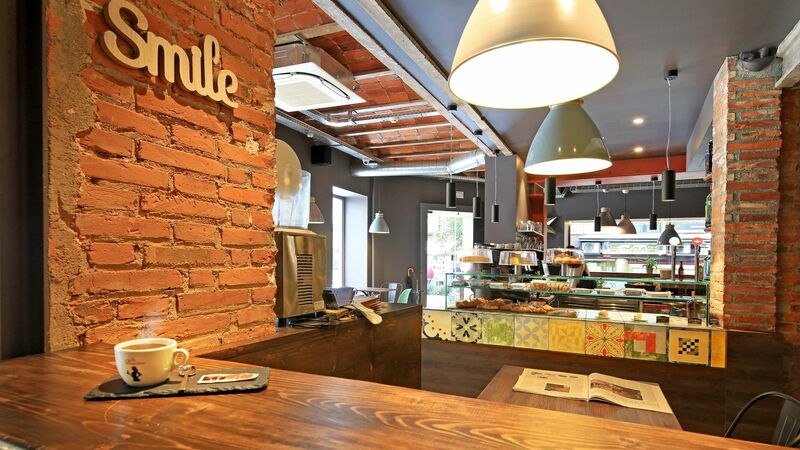 Our cafeteria offers quality, healthy, artisan products and suitable for people with intolerances. We have a varied menu to offer the maximum type of products both organic and conventional.